Today I was test driving some new albums on my headphones via the phone from Qobuz including the new REM Live at the BBC. It's over 7 hours of music and I would suggest is really for diehard REM fans. Some really good stuff on it but to buy it would cost £68 as download. Would I buy it no, but I can stream it. Without streaming I would have not heard the album. Without streaming I would have not heard the album. Indeed, any format that allows one to experience new music is a great aid to music lovers. I'm fortunate to have a local college's FM jazz station within good reception range, and that keeps my wallet empty hearing jazz that beckons to be played as albums on my LP12. Do any of them broadcast on the internet? On my tunein account I have a lot of Blues station from over there (USA) which I really enjoy. You have aways had some great radio stations and more specialists stations than we could only dream of here. Last edited by LD100 on Sat Oct 20, 2018 10:00 am, edited 1 time in total. I reckon my wallet will be getting the wind up now. 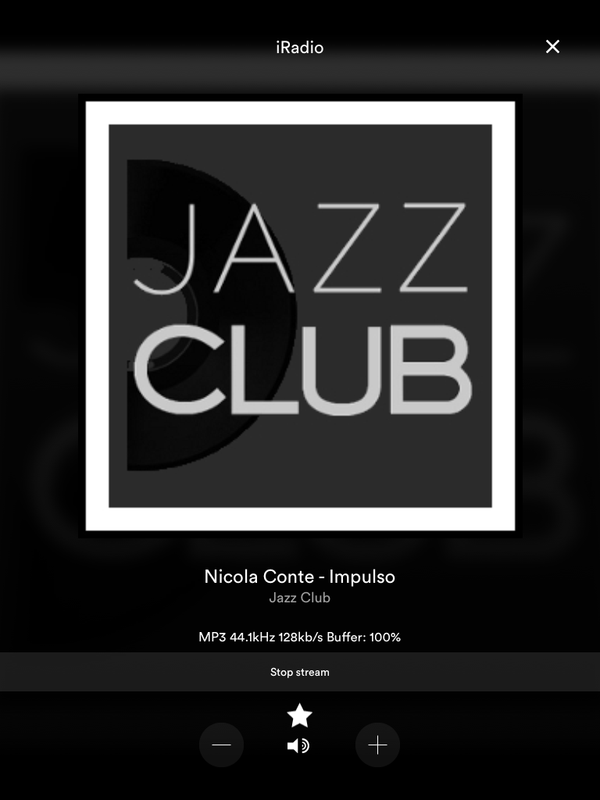 Seeing this got me looking again for jazz internet radio stations. There are so many out there claiming to play jazz, but I find many of them are playing 'smooth jazz' (often not jazz at all) or trad. I really prefer bebop and beyond, especially hard bop/post bop. Has anyone found an Internet radio station catering for such tastes? The one in my iPod dock is. Thanks, Jim, I've added it to my list of iRadio favourites. Incidentally, I did search French channels too since they're quite keen on jazz. I found this one, which was playing some fine material earlier. That was meant to show Jazz Club, but it seems to have failed to load. The Jazz 24 I got as a recommendation from those in the Jazz know in the Green room. Great station " do we still say that. "